Small handmade elegant case with opening top. 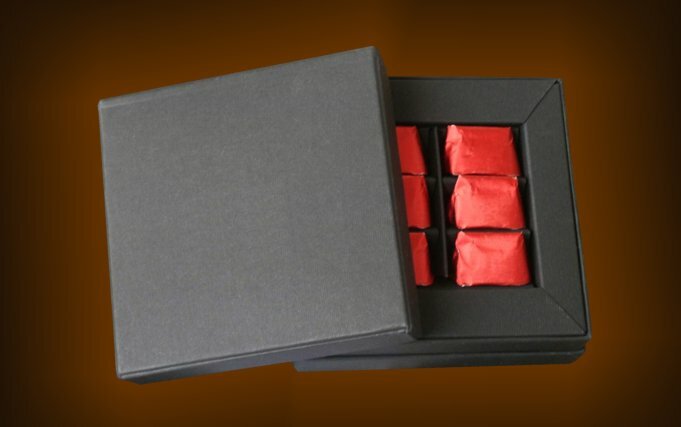 It can contain 6 Little Giandujotti with personalized wrapping. 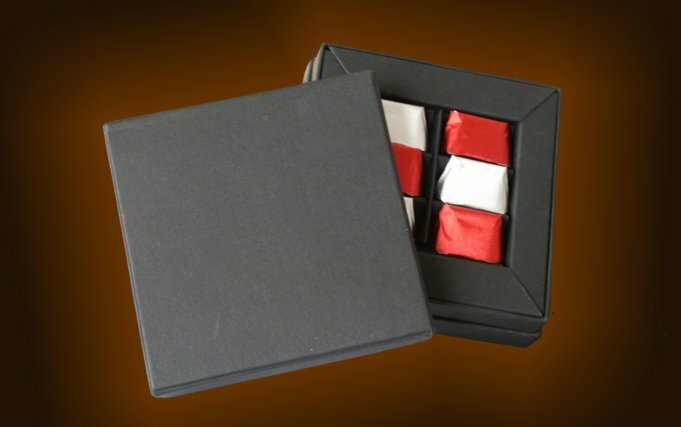 Case customizing can be made by hot printing, silkscreen printing or by attaching colour pictures. Label showing technical details as required by current regulations is on the back side. Colors available package : Black.